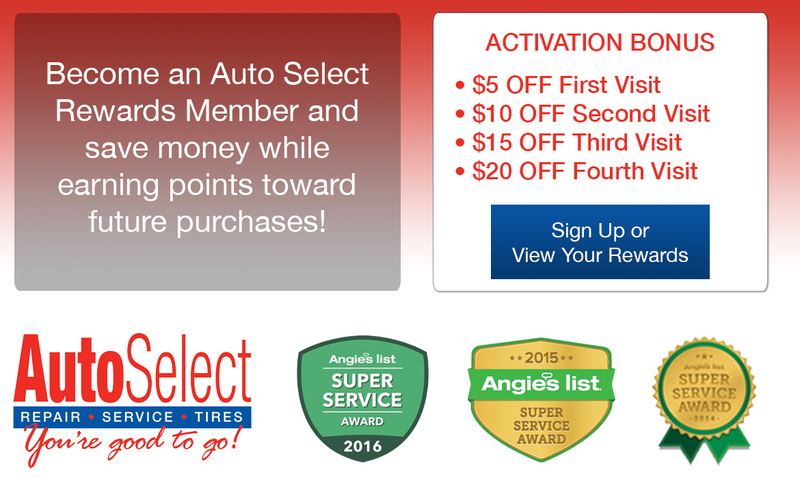 Become an Auto Select Rewards member and save money! Save money while earning points towards future purchases by signing up for our Auto Select Rewards program. Click Here to sign up and get $5 Off Your First Visit.